Foot reflexology is based on the premise that the feet are mini maps of the body and every reflex area on the foot relates to a part of the body. The philosophy behind the treatment is likened to Traditional Chinese Medicine whereby working on the principle that illness occurs when there are blockages and imbalances in the body’s energy channels or meridians. 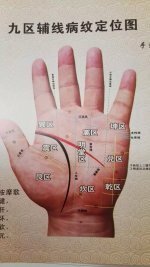 A reflexology practitioner will experience this in different ways such as sensations in the reflexes of a gritty feeling, or differences in the texture of the tissue. The reflexology practitioner will apply movement and pressure, assisting to disperse the congestion and help encourage the body to work naturally to restore its own healthy balance. The experience is generally that of deep relaxation and well being. Why choose reflexology for your health management? 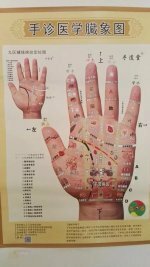 Reflexology is a very safe yet effective method of treatment to overcome discomfort, disease or disharmony albeit mental, physical or emotional, giving it recognition of a valid form of health care. Gastrointestinal disorders - IBS. Headaches & sinus disorders. Hormonal conditions - thyroid. High/Low blood pressure. Cystitis. Pregnancy, childbirth & infertility. Decreased body immunity & delayed healing. Musculo-skeletal disorders. Sleep disorders. Stress, anxiety & depression and many others. When should treatment not be given? Infections of the feet should be cleared up before treatments are given. If under the influence of alcohol or elicit drugs. Contagious diseases. 1st trimester of pregnancy. Unstable pregnancies. Epilepsy. Caution should be exercised with deep vein thrombosis and close liaison with a GP is necessary.